The lead up to the release of the hotly-anticipated feature-length animated adaptation that is Batman: The Killing Joke, from producer Bruce Timm (Batman: The Animated Series), has been followed with bated breath by many fans of the original one-shot graphic novel by writer Alan Moore and artist Brian Bolland. Following the movie's premiere at San Diego Comic Con 2016 and subsequent release on Blu-ray and DVD, it is expected to play in over 1,000 U.S. theaters and reach a worldwide audience in a big, big way. Based on all of the footage and behind the scenes material released thus far, Timm and company should have quite the hit on their hands when Batman: The Killing Joke sees release later this August, a Batman readers have been waiting for someone to do the story justice in an animated form. On that note, the latest clip from the finished production gives viewers their first look at another featured character from the DC Comics canon. 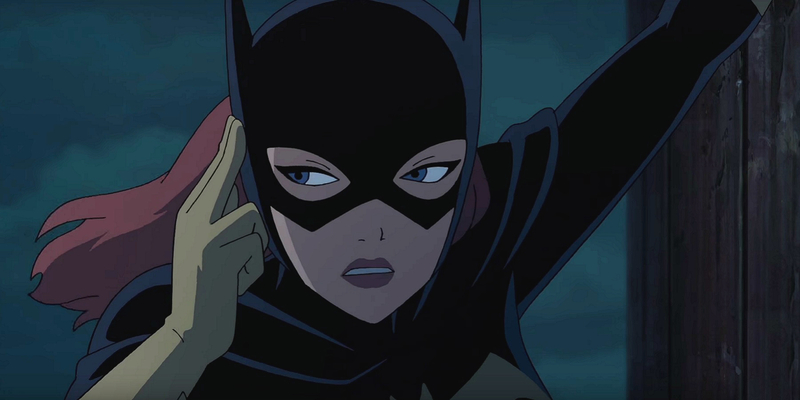 In the footage featured above, veteran voice actress Tara Strong gives viewers a behind the scenes look into bringing the tragic story of Barbara Gordon a.k.a. Batgirl to life in Batman: The Killing Joke. Readers of the original graphic novel no doubt already know all that will entail in the finished film, as the events that occur will result in Batgirl's page-turning transformation into the original comic book character Oracle. Longtime Batman fans will want to study this latest batch of footage closely, as Strong provides plenty of insight into the process of voice acting for the production of the new film, including anecdotes about how she originally met Joker voice actor Mark Hamill and Batman voice actor Kevin Conroy. Timm has rarely let viewers down in the past, and Batman: The Killing Joke should prove to be another remarkable notch in his belt. Batman: The Killing Joke will have a lot to live up to in the eyes of super fans attending the film's premiere at San Diego Comic Con next week, as Moore and Bolland's one-shot comic book has gone on to become one of the most well-read and frequently cited Batman stories of all time. On that note, here's hoping that the finished production serves as a worthy adaptation. Batman: The Killing Joke will be premiere at San Diego Comic-Con, then release on Digital HD July 23, and on DVD and Blu-ray on August 2. The film will also screen in select theaters nationwide for one night only on Monday, July 25, 2016.